Fortnite Battle Royale’s Season 4 has finally come to a close, and that can only mean that Season 5 is hot on its heels, releasing today. While many players will likely be buying the Battle Pass and seeing what skins, dances, and other emotes they may get along the way as soon as they jump in, others may be more concerned about the state of the map. Fortnite’s map has transformed considerably since the game originally released last year, but still retains some of its original landmarks and charm. But with a botched rocket launch, Tilted Towers seemingly saved from being eradicated by said rocket, and a number of bizarre items appearing on the map via weird time portals, there’s a chance things could have considerably changed when it comes to Fortnite’s Season 5 map. Well, enough talking, let’s show you what map you’ll be dealing with this season. 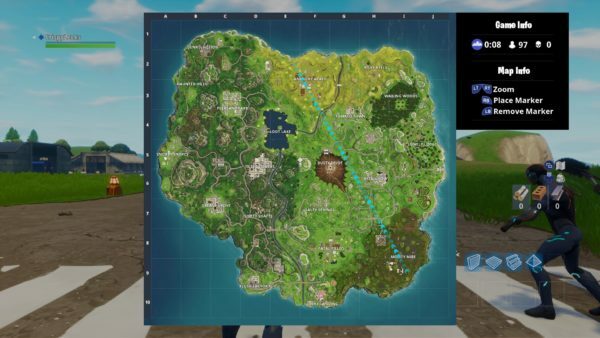 Season 5’s map for Fortnite has a couple of major changes from what we saw in Season 4. Most notably is the new desert biome that’s replaced the southeast section of the map. It includes the new locale Paradise Palms, while Anarchy Acres at the north of the map has been switched out with Lazy Links, a nice little golf course. 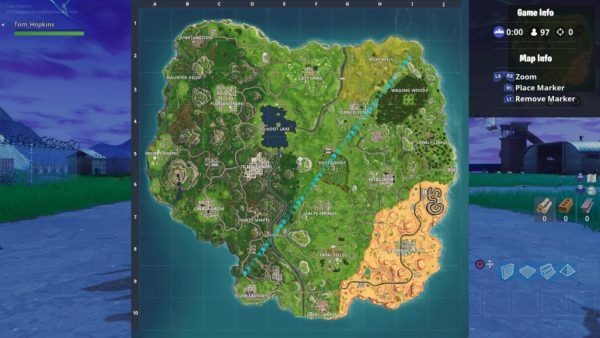 For comparison’s sake, we’ve included Fortnite’s Season 4 map below, too. And there you have the Season 5 map for Battle Royale. For more tips, tricks, and information, be sure to check out our Season 5 wiki.